Wow! Bing, bang, boom! Elton John. We never would have thought when we started printing posters that we would be honored to print an awesome Elton John poster. 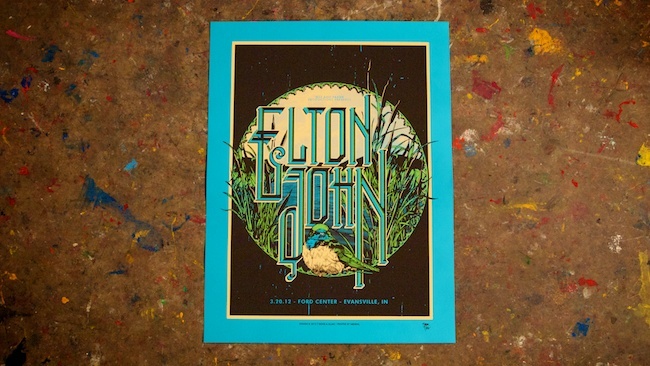 This is an incredible 3-color print by the one and only T-Bone and Aljax for Elton John's performance at the Ford Center Evansville, IN on March 20th, 2012. This awesome print was screened on electric blue 19"X25"French Paper cover stock. A few copies are available from ABNRML.com here.